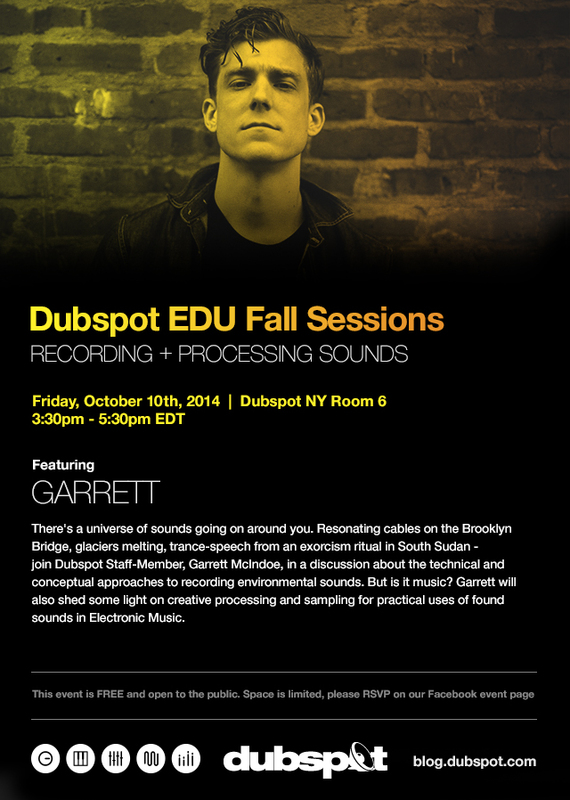 In this Dubspot EDU Fall session, Dubspot staff member Garrett McIndoe will go into detail of incorporating found-sounds and field recordings into electronic music. Sometimes your electronic music compositions need a touch of something organic. Incorporating found sounds and field recordings into your electronic music can give your compositions a much-needed natural feel. Join Dubspot staff member and seasoned sound recorder Garrett McIndoe for this workshop. Garrett will cover everything you need to know about field recording, conceptually and practically. This event is FREE and open to the public. Space is limited, seating is first come, first serve. RSVP on Facebook.